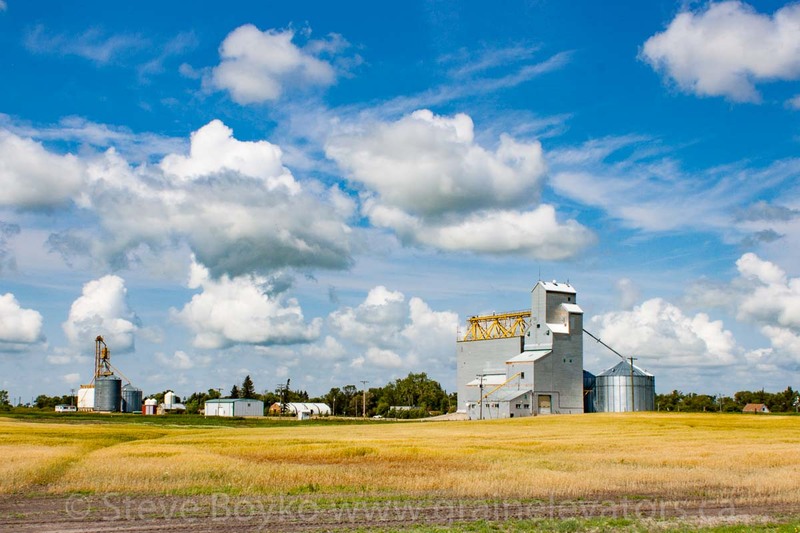 The grain elevator in Elgin, Manitoba, Aug 2014. Contributed by Steve Boyko. 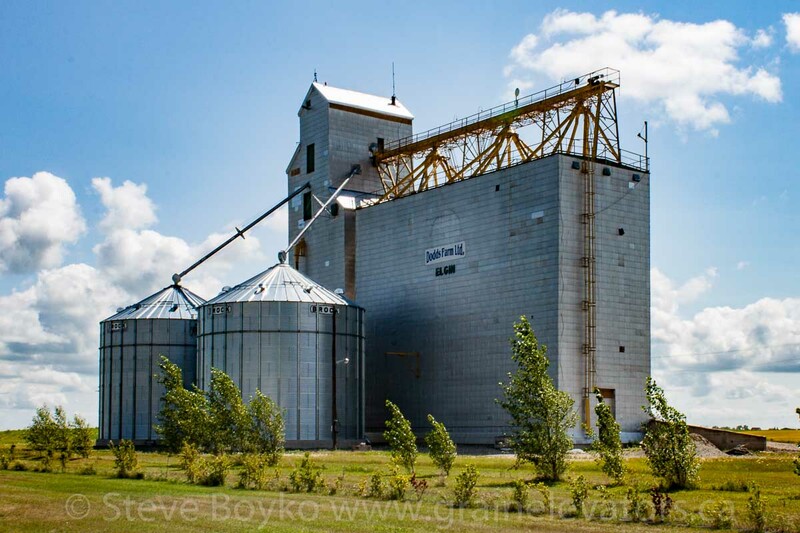 The Elgin grain elevator is a former Manitoba Pool elevator. 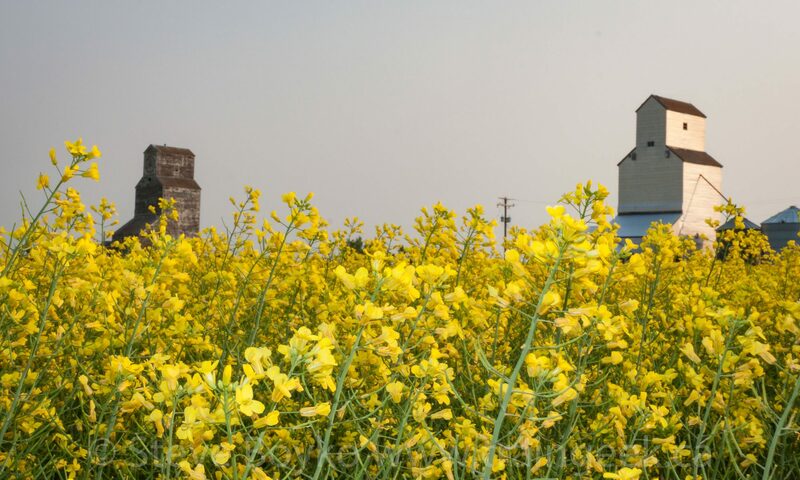 It has a capacity of 5,150 tonnes and is privately owned by Dodds Farm, Ltd. 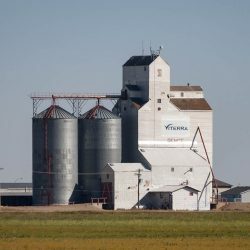 This was the “B” elevator in Elgin. Elgin was on the CN Hartney subdivision. By 1979 this was the end of the operated track, and in 1999 the track was sold to the Southern Manitoba Railway. That shortline operated it for several years until its abandonment and removal in 2006 or 2007. There is a nice museum in Elgin.